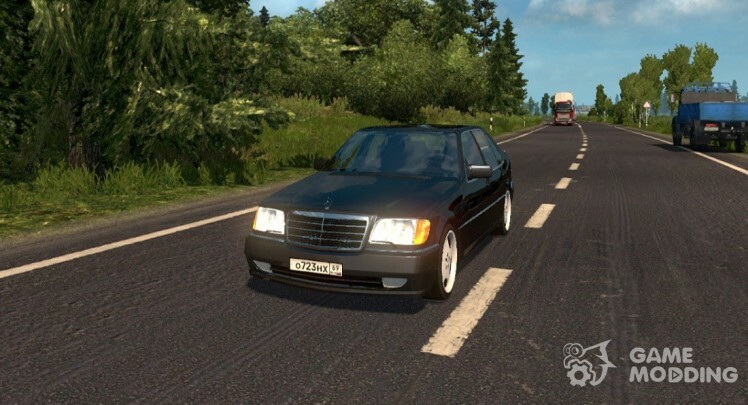 The authors recreated 3D-model of the W140 body, added original interior, dashboard with animation, 10 engines with sound, 4 CAT (4-item, 5-item and 6-item) and classic rims. Sold in the showroom Mercedes-Benz. 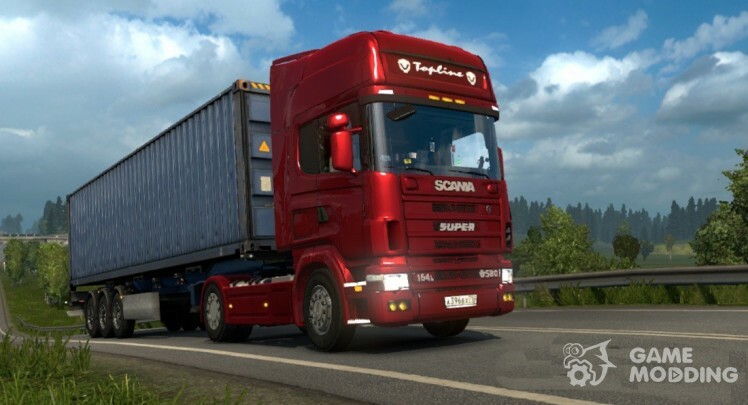 Test version 1.32.2.25 s.
Mod adds to the classic motor show Scania model truck belonging to the 4th series, as a result of development, the author realized the cabin Topline with original interior and chassis with formula 4×2, added 9 ice (360 – 580 HP) and two 12-St checkpoint, also provided rich external tuning (sold about 50 of accessories). 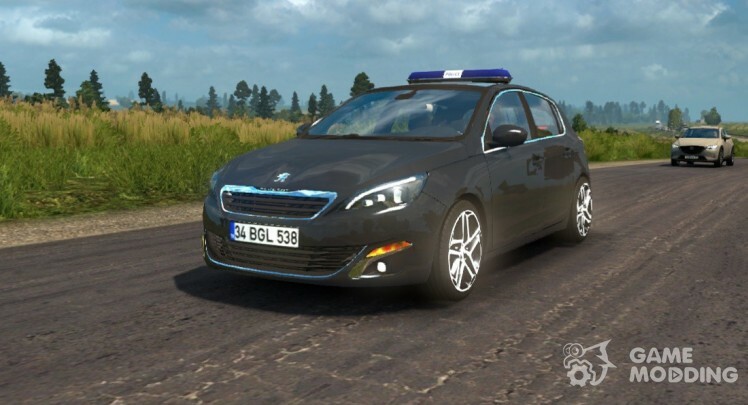 Test version 1.31.2.6 s.
The mod includes the original model 5-door hatchback. The author implemented the interior with animation, added 2 of the internal combustion engine (1.6 HDI and 1.8 TSI), 6-St checkpoint and the original wheels (tyres). No external tuning except standard for Skoda Superb flashing lights. Sold in all salons. Test on version 1.31. 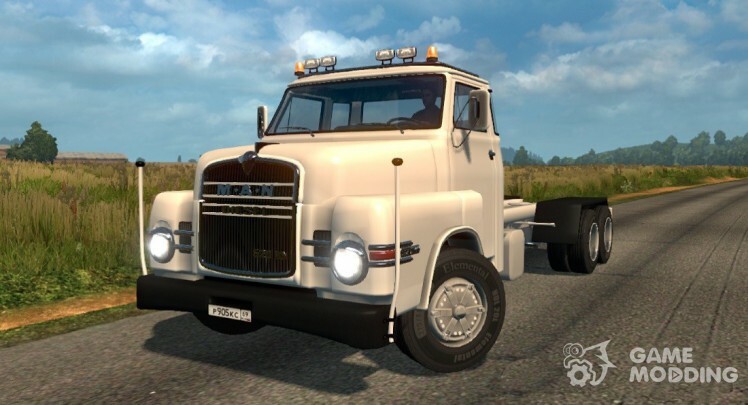 The truck performed quite efficiently despite the low version of the mod, the author has implemented one cab, frame, chassis, 6×2, warm color lights, wheels paint and a few additional elements for tuning. A definite plus fashion is interior, recreated the classic dashboard, spelled out the animation of the toggle switches, buttons, switches and gauges, added the ability to install accessories. Test on version 1.31. Bought in the cabin MAN. 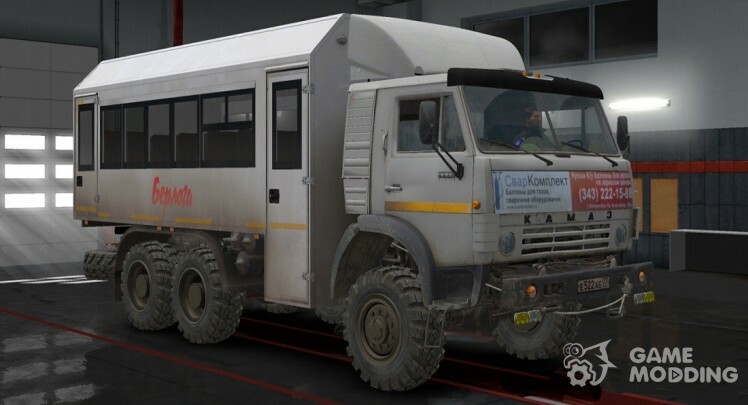 The truck looks epic with the realistic textures with the effect of mud, the author implemented a low day cabin, low cabin with a sleeping bag, added 4 chassis with the wheel formula 6×6 (type 2 BDF and 2 seat), ice (400 and 700 HP), CAT 3 (10, 12 and 16-St), a huge selection of off road tires and wheels, an external tuning. In addition, KAMAZ 4310 has its own interior, animation and supports the installation of accessories! Test versions of 1.27 - 1.30. Bought in the cabin MAN. 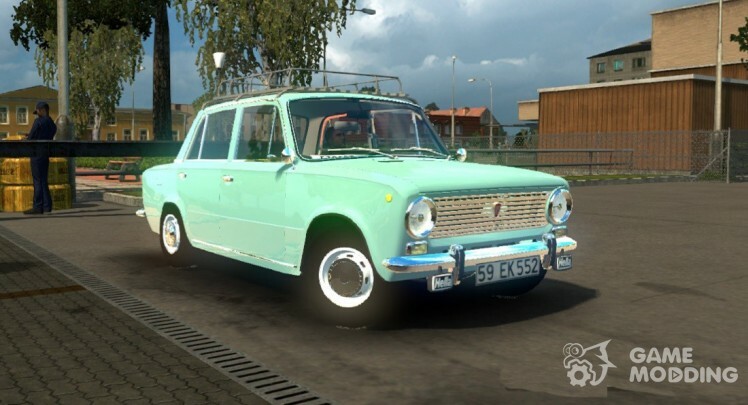 The car features a good 3D model and its classical interior with animation of the instruments and levers, it is worth noting the instrument cluster from the VAZ 2101-2103 and the presence of a "VAZ" wheel, in such equipment it is practically Patriotic "penny"! When buying a car, under the hood, you can install the engine 1.2 (65 BHP) or 1.4 (83 HP), also available a kit, in stock tires and wheels 3 types, roof rack, sunroof Ragtop, fog lights, 2 types, and accessories with Turkish symbols. 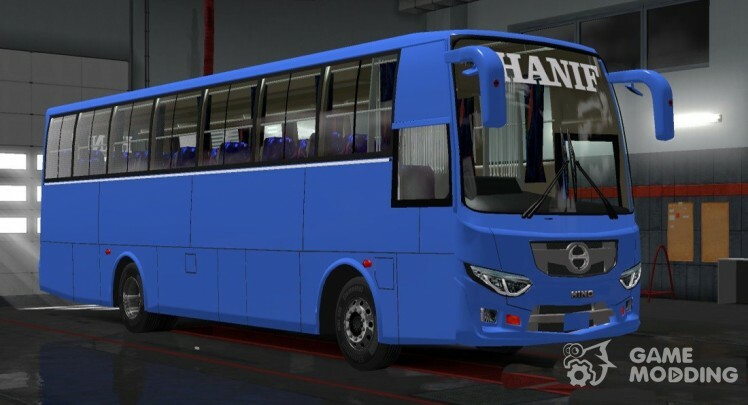 Long-distance bus of the middle class developed by the Japanese company Hino Motors. Bus AK1J constructed on the chassis with the wheel formula 4×2 and calculated the carry 33 passengers. 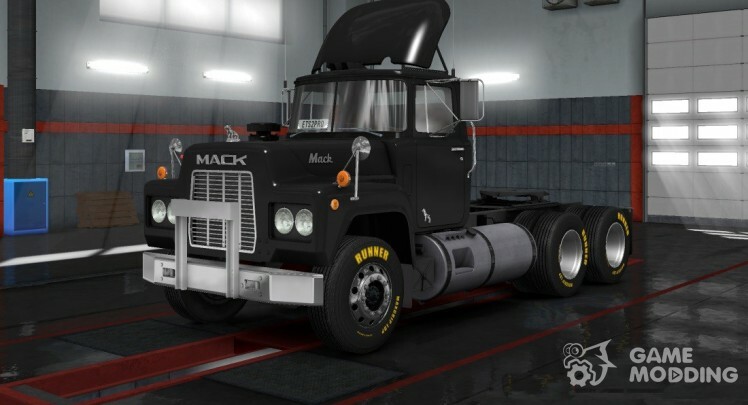 Mod is of the highest quality, the author has implemented a detailed model of the tractor and original interior with animation, added chassis of different lengths with the wheel formula 6×4, 6 ice production of "Mack" and "Detroit Diesel" (237, 270, 260, 285, 315 and 335 HP) and 13 CAT (4, 5, 6, 9, 10, 12, 13-St). Sold in Renault. Test versions of 1.24 - 1.30. 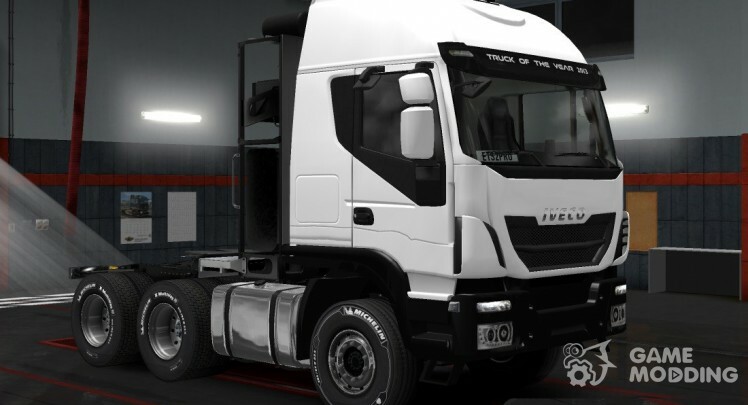 The mod contains a new, fully independent heavy series Iveco Trakker. As a result of development implemented two cabin (high and low), added 10 species chassis consisting of 4 main modifications (6×4, 6×6, 8×6, 8×8), 4 engine (460, 500 and 560 HP) and 5 transmissions (the 7-PT and 16-PT). 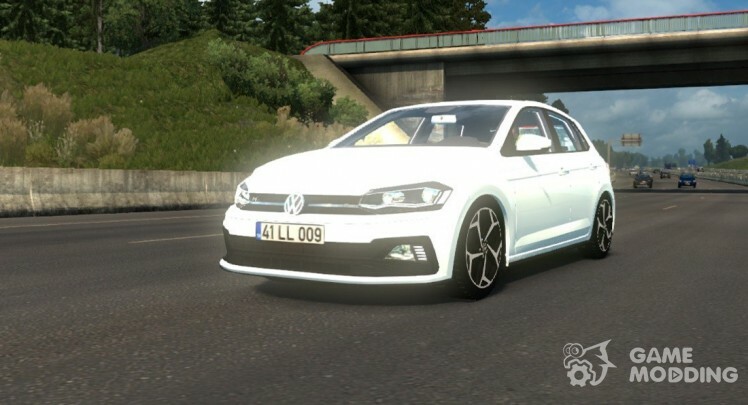 Mod adds to the simulation of the modern Volkswagen Polo sample 2018, as a result, the author implemented a detailed model of 5‑door hatchback, added the original interior with the main animation, 2 engines, 6-St checkpoint and a set of branded discs.